https://hairrestore.com/techniques/hair-direction/ When a patient has bare scalp, often there are tiny vellus hairs that can offer information about the original pattern of growth. But if not, Dr. Keene of Physicians Hair Institute will use her knowledge of frequently observed patterns of growth to orient the hair for its maximum benefit to you. She also prefers that you not cut your hair very short, because that would impede her ability to see the natural direction and the way it lays, and it is an added inconvenience to you. If you have existing hair in the recipient area, it can help to camouflage the appearance of the surgical area in the immediate post surgery period, helping you to get back to work earlier, and giving you the choice of whether to share your surgical experience with co-workers, or keep your experience private. The existing hair is gently moved from side to side as we place the new grafts. 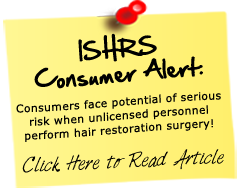 See our website https://hairrestore.com/ for Hair Replacement in Tucson or a Hair Transplant Clinic in Scottsdale Arizona.